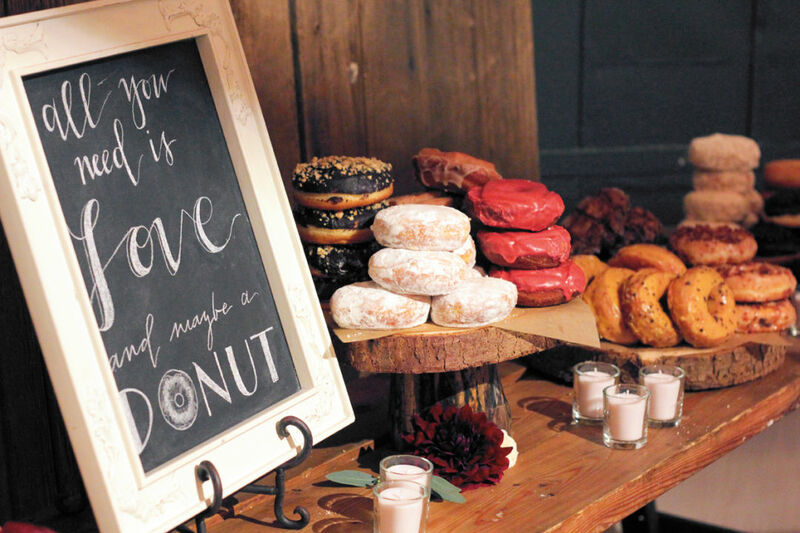 Sorry cupcakes, but there’s a new sweet in town: the current darling of wedding desserts is the donut. Whether served as an alternative to traditional wedding cake or offered as a scrumptious sidekick, there's a whole lot to love about fried rounds of dough. Below, check out a few of our favorite ways to serve donuts at your shindig—offer up classic flavors such as powdered sugar and glazed, or get creative with inventive, custom flavors. 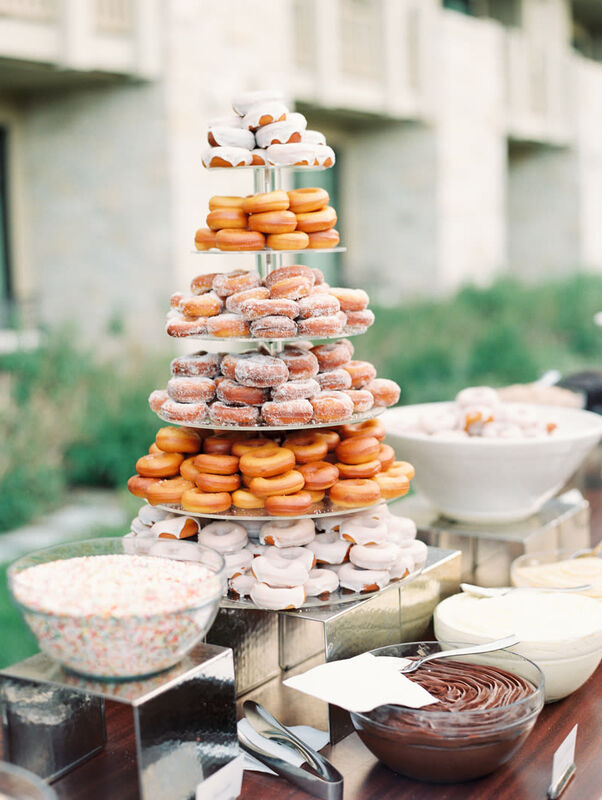 At their summer wedding in the mountains, Meagan Foulger and August Simmons created a build-your-own donut bar with a variety of toppings including icings and sprinkles. 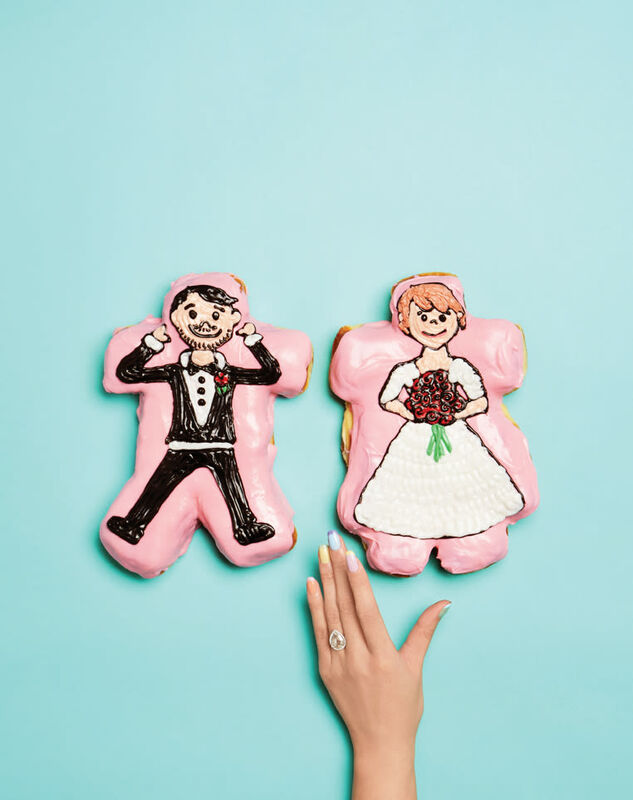 Your guests will love Voodoo Doughnut’s custom bride and groom donuts. Send in a photo of yourselves, and they’ll frost your donuts to match.